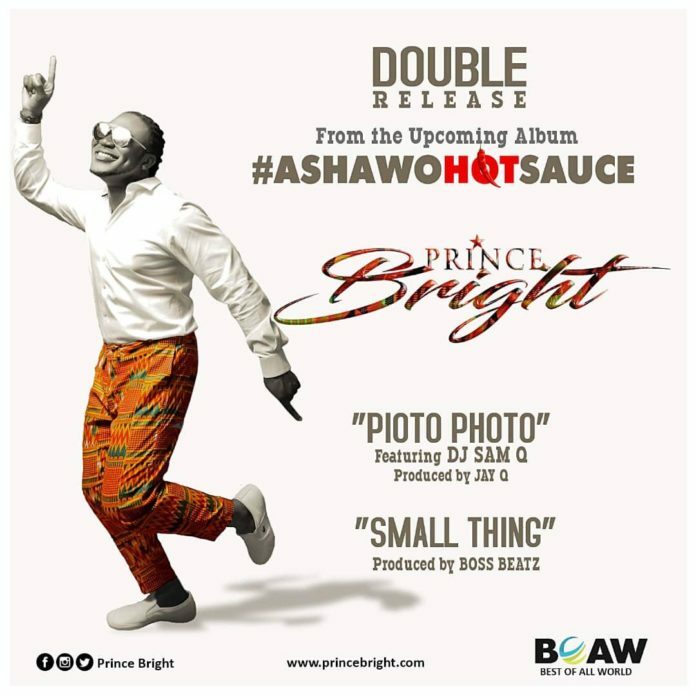 Prince Bright, leader of the multi-award winning group Buk Bak releases a brand new afrobeat banger, off his upcoming album Ashawo Hot Sauce. He titles it Pioto Photo which he features DJ Sam Q. Production credit goes to award winning producer Jay Q. Update your playlist, listen up and share.